The Polygon Tents roof beam connect a plurality of aluminum alloy beam together and composed of polygon. 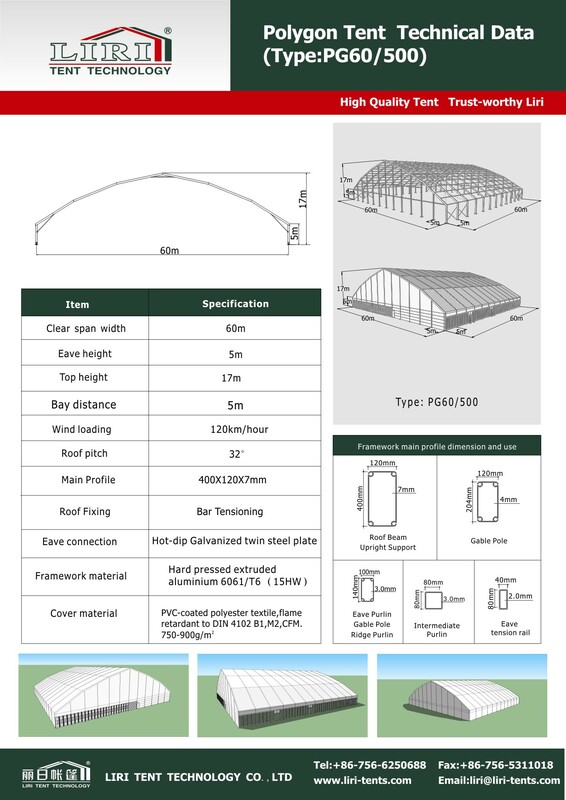 The Polygon Tent Seriesclear span of the is 10m, 12m, 15m, 18m, 20m, 25m, 30m, 40m, 50m, 60m, the side height of the 40m, 50m, 60m is 5m, bay distance is 5m, the length can be increased or decreased by 5m without limit. Optional accessories: clear windows, ground anchors, weight plate, glass wall system, ABS hard wall system, rolling door, man door, air conditioner, lining, curtain and so on. Frame adopt reinforced aluminum alloy 6061/T6 extruded profile, surface anodized finish. The fabric is double pvc coated polyester, 850g/sqm,block-out water-proof, UV resistant, fire retardant and self-clean ability under European Standard M2. Polygon tent designed with advanced idea and firm structure. The wind resistance is 100km-120KM/hour, suitable for large concert, storage, large exhibition, big party and so on. 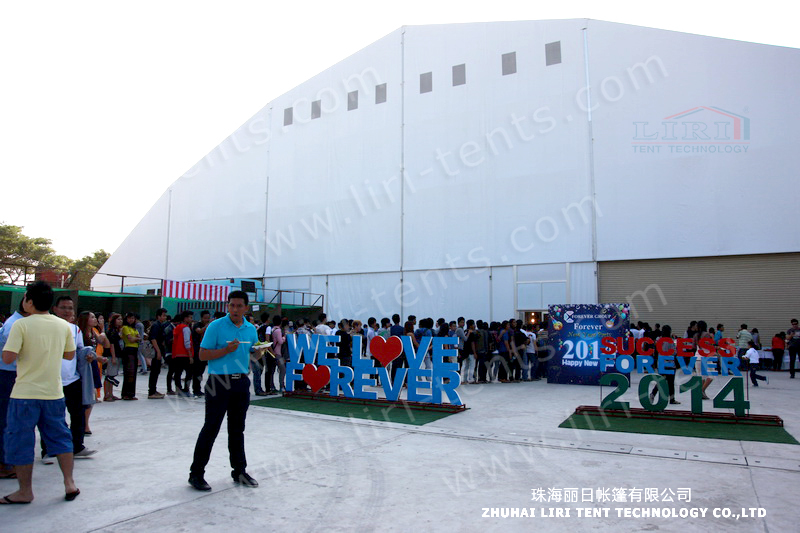 In 2014, Liri has sell the 60m large polygon tent in Myanmar， this tent is used for Concert. For this tent can cover for more 6000 people, it is a very good choice for the movable event center.